ESO invites you to take part in AstroCamera 2018 — an international competition in support of popularising astronomy and astrophotography. The competition is organised by the Hewelianum Centre in Gdańsk, Poland. The winners will receive grants from the organisers. ESO, as one of the partners of the event, will award prizes in the form of books and DVDs for the entries that receive honourable mentions from the judges. Initially launched in 2011 to coincide with the 400th anniversary of the birth of the 17th century astronomer, Johannes Hevelius, the competition is open to all astronomy and astrophotography enthusiasts. The life and achievements of Hevelius, a renowned observer of the night sky, have inspired the Hewelianum Centre to make the AstroCamera competition a regular event, with this year marking the sixth time it has been held. Each entrant may register a maximum of five photographs spread across any of the categories; however, only one photograph entered by a participant may be awarded a prize in any individual category. Entries will be assessed according to the following criteria: content; object type; object brightness; level of difficulty in photographing an object; rarity (uniqueness), etc. ; and aesthetics — i.e. the object’s visual attractiveness, picture sharpness, noise reduction, etc. 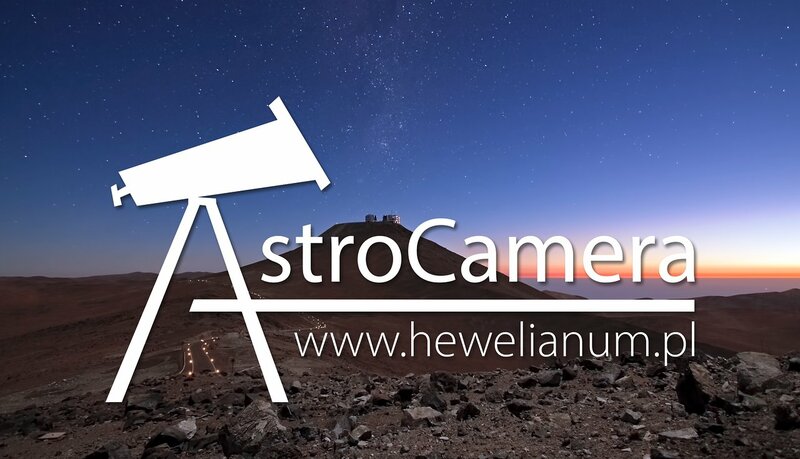 Competition entries should be submitted to: astrocamera2018@hewelianum.pl before 30 April 2018, 15:00 CEST. The winners will be announced by 30 May 2018. For further information on the competition and instructions on how to enter, please refer to the dedicated competition webpage.